Get notified when Utah Jazz tickets are available! The Utah Jazz is a member of the Northwest Division of the Western Conference of the National Basketball Association that was founded in 1974 as the New Orleans Jazz. The team has been based in Utah since 1979. 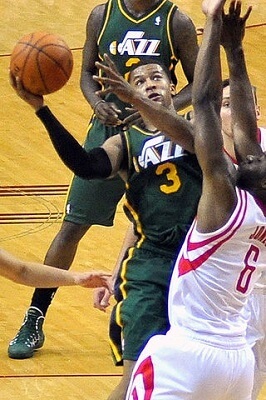 All of the Utah Jazz home games are played at the Vivint Smart Home Arena in Salt Lake City. The arena opened in 1991 and was one of the sites used for the 2002 Winter Olympics. More than 19,000 fans can attend a home game at the arena, and you can be one of the thousands by purchasing Utah Jazz tickets online using the links above.